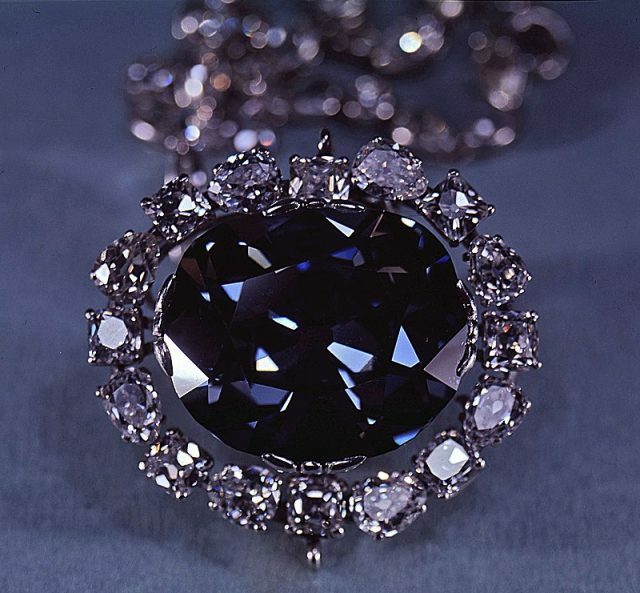 Little bigger than a walnut, the dazzling Hope Diamond is one of the world’s most famous precious gems. At 45.5 carats, this beautiful, deep blue diamond is worth an estimated $250 million, and is held today by the Smithsonian Institution in the National Museum of Natural History in Washington, DC. However, this glittering gem is haunted by a very dark legend. Rumored to be subject to a terrible curse, bad luck has followed many of the diamond’s former owners, including the unfortunate French King Louis XVI and his wife Marie Antoinette. 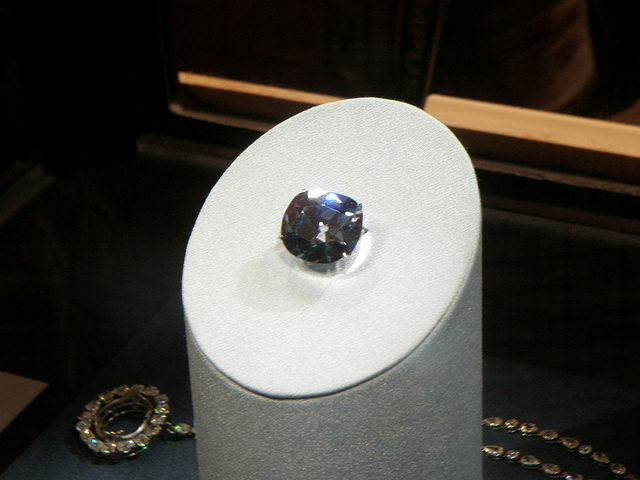 The origins of the Hope Diamond are mired in myth and rumor, but it is now generally agreed that it was discovered in India, in the Kollur mine in Golconda, in modern-day Andhra Pradesh. 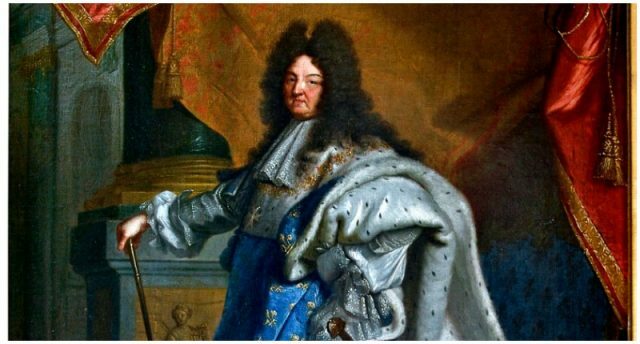 According to the Smithsonian Institution, the diamond was acquired by a French gem merchant named Jean-Baptiste Tavernier in around 1666, who brought it back to Paris and sold it to the French ‘Sun King’ Louis XIV. While in French royal possession, the stone was recut and set in a large gold pendant, and became known as the “Blue Diamond of the Crown”, or more simply, the “French Blue”. The diamond was kept on display and occasionally worn by the Sun King and his descendants, including Louis XV, and Louis XVI and his wife Marie Antoinette. 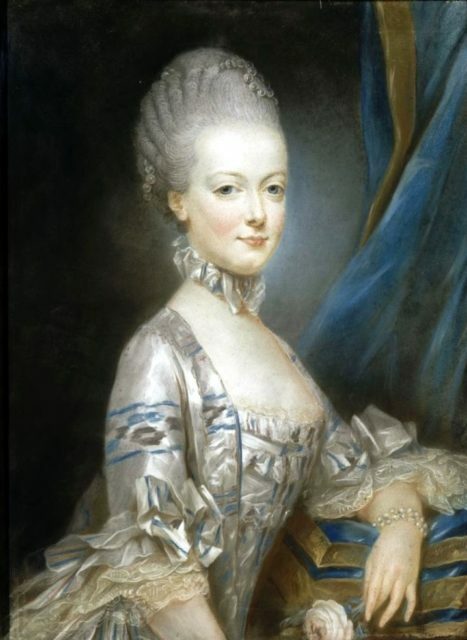 According to the Smithsonian, in September 1792, during the period known as The Terror, following the French Revolution, the French Blue was stolen. Although its whereabouts in the years that followed are unknown, it is now believed that the French Blue was cut into two diamonds, the larger of which appeared in London in the year 1812. There is significant evidence to suggest that this diamond then fell into the possession of the English monarch, George IV. At the point of his death in 1830, George’s debts were so great that the diamond had to be privately sold in order to pay them off. By 1839 it had been purchased by Henry Philip Hope, who gave it its modern name and passed it on to his descendants. In the first half of the 20th century it changed hands several times before being donated to the Smithsonian Institution in 1958. During the late 19th and early 20th centuries, however, many of the diamond’s owners began to construct a legend associated with the gem, claiming that it was cursed. These stories were designed to boost the notoriety and market value of the diamond, but were, in most cases, complete fiction or exaggeration. It was suggested that the diamond had originally been extracted from a sacred sculpted image of the Hindu goddess Sita, wife of Rama. According to LiveScience, the removal of the diamond was said to have triggered a horrific curse that would haunt all of its future owners. The first victim of the curse was Tavernier himself, who is reported to have had a very unfortunate incident concerning wild dogs shortly after selling the diamond to the Sun King. There is no evidence to support this claim, but it remains a core feature of the urban legend associated with the diamond. The curse is also reputed to have been the cause of the downfall of the French king Louis XVI and his wife Marie Antoinette, who were guillotined in 1792, following the French Revolution. One of Marie Antoinette’s closest friends was the Princesse de Lamballe, a French aristocrat who may also have worn the diamond. The infamous end of the princess during the Terror is thought to be further evidence of the power of the curse. Subsequent owners of the diamond have, allegedly, been plagued with misfortune, suffering financial ruin, self-inflicted harm, failed marriages, early demises and insanity. Remarkably, even James Todd, the postman who delivered the Hope Diamond to the Smithsonian Institution, seems to have fallen victim to the curse. Shortly after completing the delivery, he was hit by a truck and severely wounded. Although he recovered, his wife and child died soon after, and his home was burned to the ground. 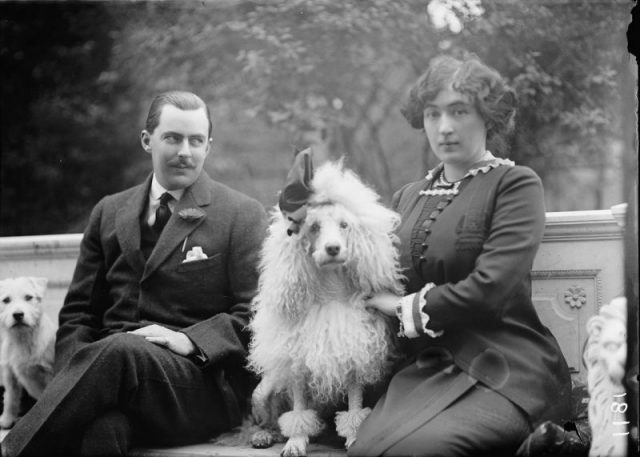 Washington Post scion Edward Beale McLean and his wife, mining heiress Evalyn Walsh McLean, in 1912. 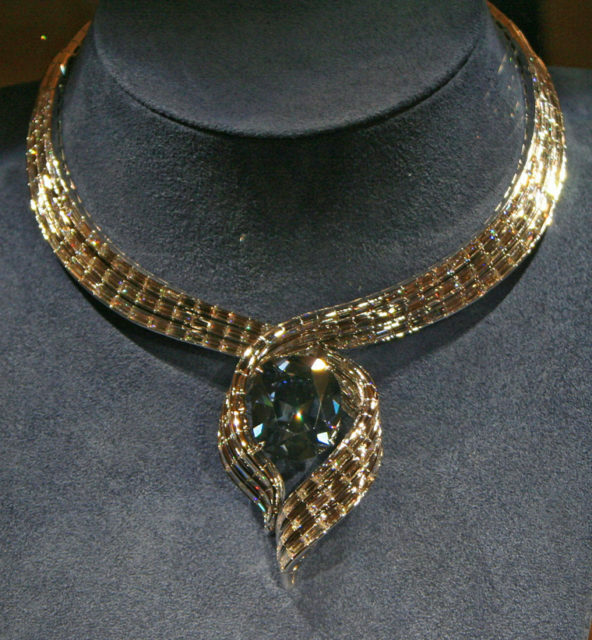 The couple owned the Hope Diamond for many years. 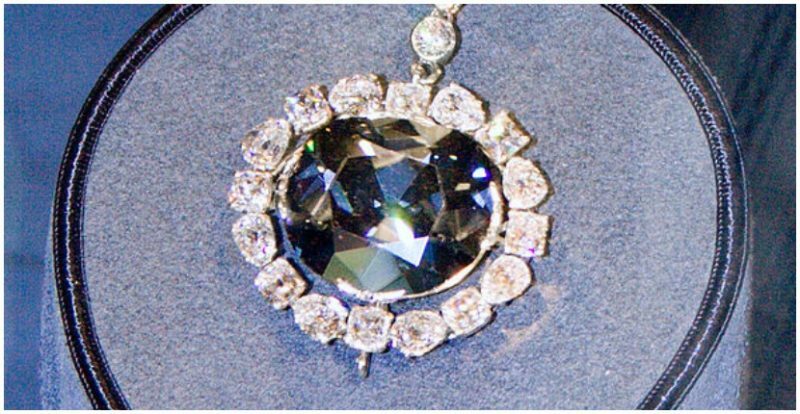 Although many of these stories are unsubstantiated or have been definitively proven false, the legend associated with the Hope Diamond persists. According to the curators of the Smithsonian Institution, however, there is no longer anything to fear from this curious gem. Since the museum acquired the diamond, it has brought them nothing but good fortune, attracting thousands of regular visitors. 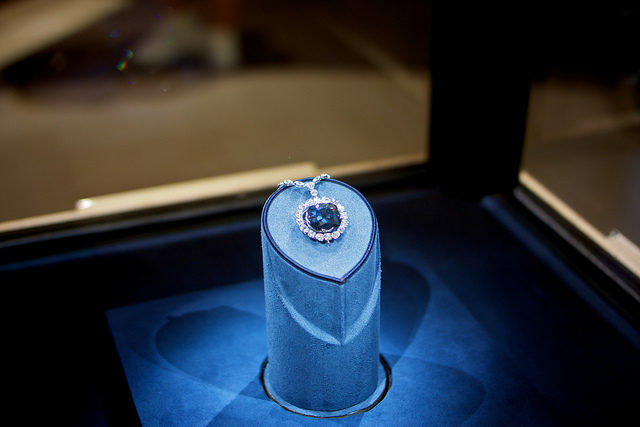 For now, at least, if it did once exist, the curse of the Hope Diamond appears to have been broken.